The Digox 6.1 measures traces of dissolved hydazine in ultra-pure water with the highest possible accuracy. The robust Thiedig Sensor is designed for the continuous operation in sampling systems of power stations. The modular design offers a low maintenance system. 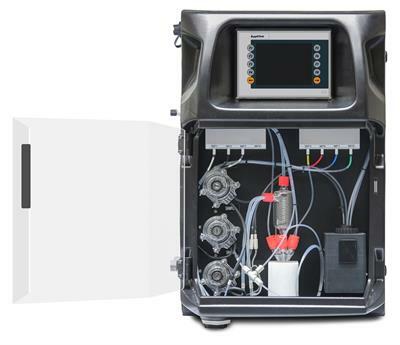 The AQUACON N2H4 process photometer can be used for the monitoring and control of the hydrazine concentration in water. Measurement principle is the photometric determination of hydrazine by forming of an Azine compound by reaction with 4-(Dimethylamine)-benzaldehyde. 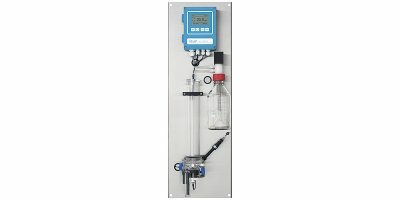 Complete monitor for hydrazine or carbohydrazide on stainless steel mounting panel. Amperometric three-electrode system with extremely stable zero point. Sample onditioning with highly effective diisopropylamine. Factory tested and calibrated on wet bench.